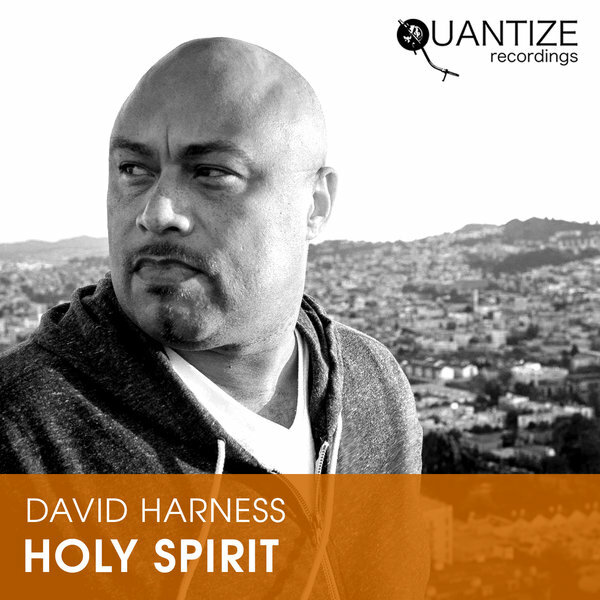 David Harness returns to Quantize with an inspirational gospel house classic ?Holy Spirit?. This single has all the ingredients that David is known for; killer drums, driving bass, beautifully played organs, pianos, and stunning vocals. It?s a brilliantly put together piece that pays homage to the Hawkins Family. As always, David delivers the heat, so sit back, relax and let the Spirit take control! ATFC "good way to start the day"
Bert Bevans "Felt the spirit all the way!!!" Bobby & Steve (House FM) "Love it Great work"
C J Mackintosh "Very Nice "
Candice McKenzie "So happy to have this! Thank you Quantize!" craig Bartlett "slammin top class"
Deli G "Wonderful piece of music"
Dj Able "great track this guy is on fire atm"
dj booker t "cool vibes will support"
dj groove "Gods Grace Through music...Nice!" DJ Oji "Uplifting and groovy"
Geoffrey C "David Harness ALWAYS delivers! Great tracks!" Gary LeMen "absolute class. Full support"
Hector Romero "Fantastic!! Go D!!!!" Hippie Torrales "Loving the extended"
John Hutchison (Le Visiteur) "Cool track"
Just Mo "What a song, very uplifting." Mannix "oh my gosh this is good"
Master Kev "Hot like lava!!!!" Mr Mike "Nice release! Will play. Thanks." Peppe Citarella "Thank u !!! Peppe Citarella"
richie roberts "Just wonderful...the sentiment we all need these days....full support"
Ronnie Herel (Mi-Soul) "This is a real beauty...Great record !!" Russell Pollitt "Massive! My fave cut of 2018 to date." Sean McCabe "Yeah feeling this!!!" Souldynamic "Thanks fellas! Nice release from Mr.Harness! cheers Souldynamic"
tedd Patterson "Yes... to everything David Harness "